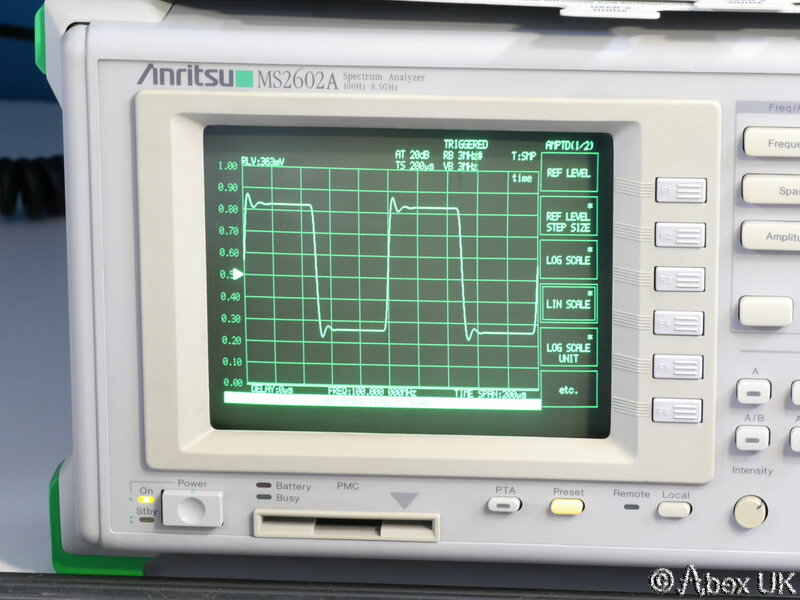 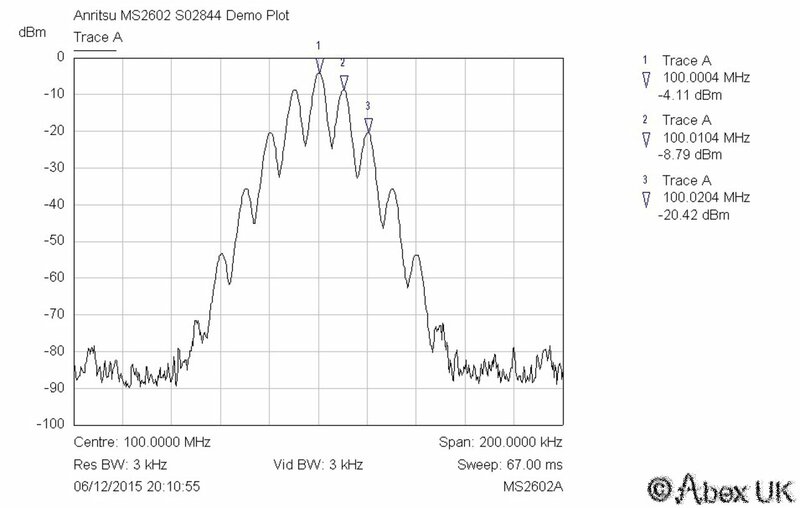 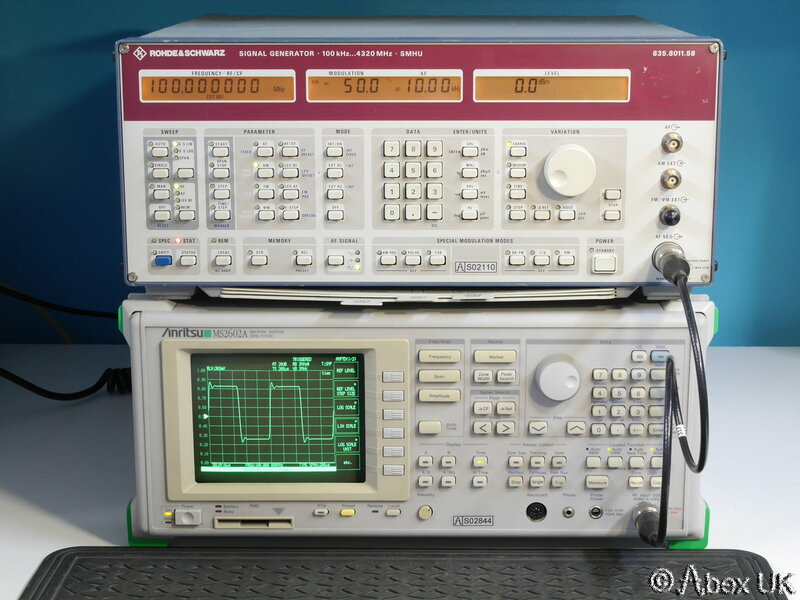 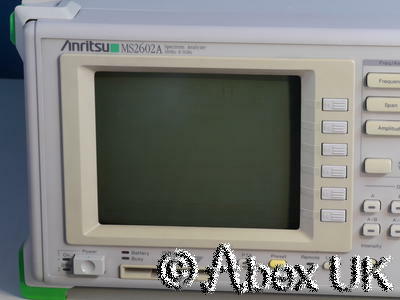 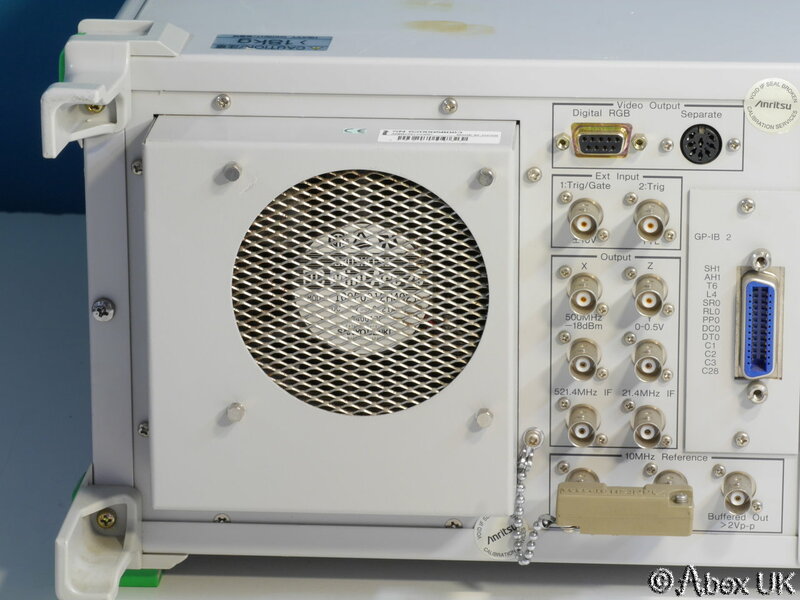 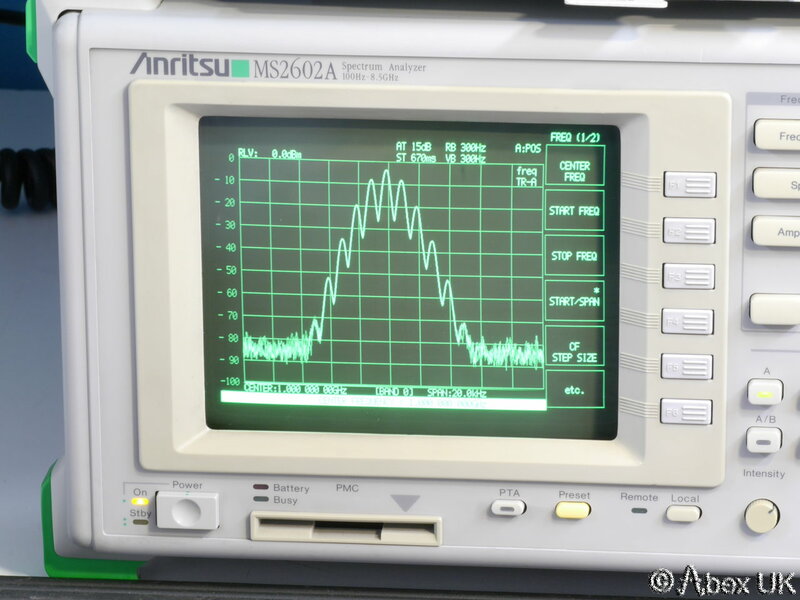 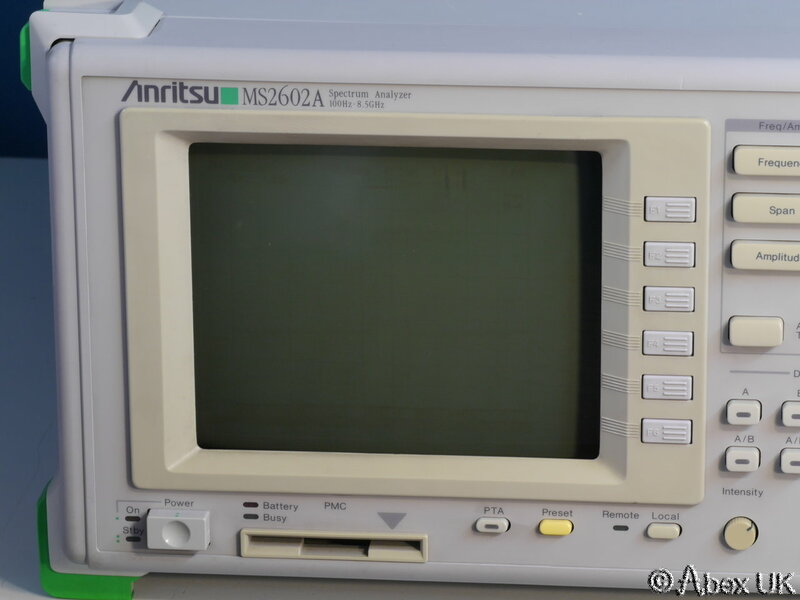 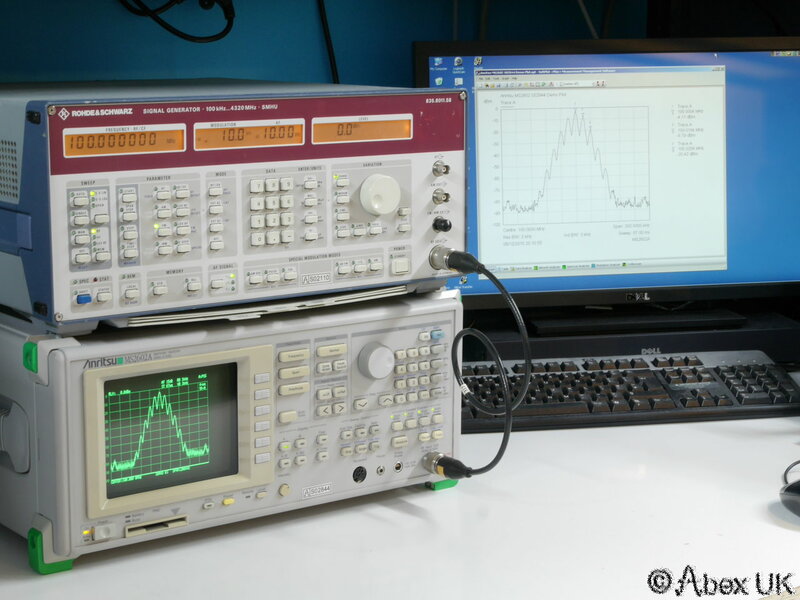 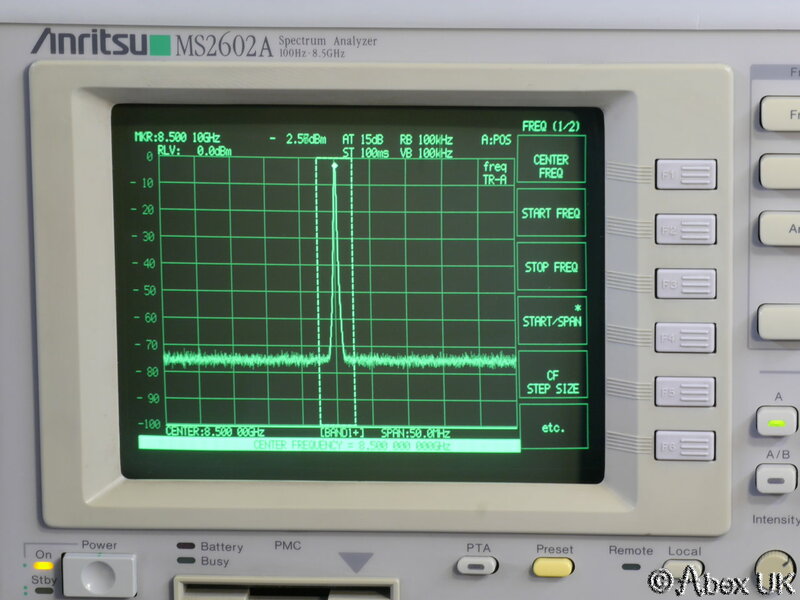 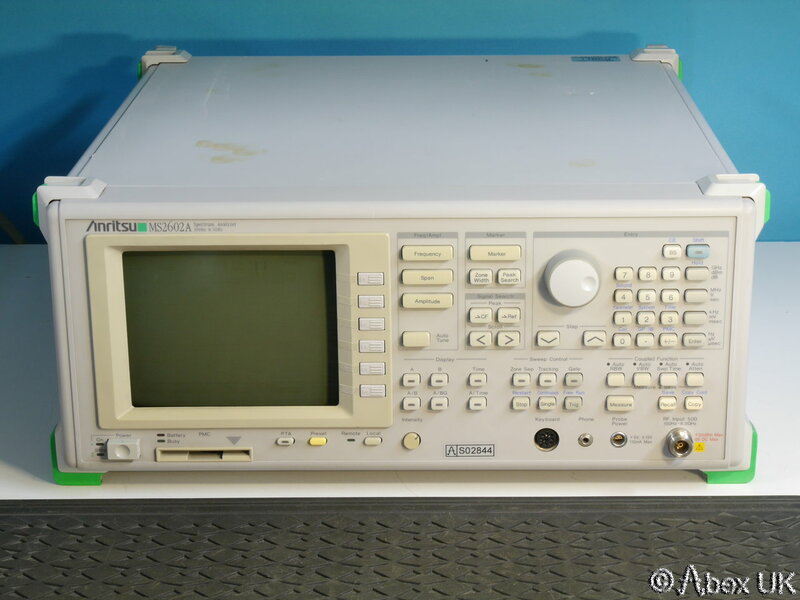 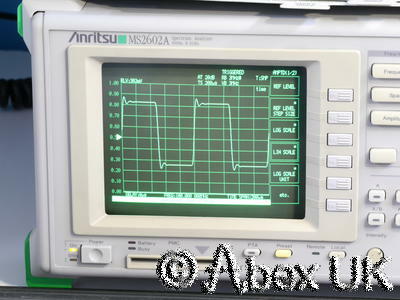 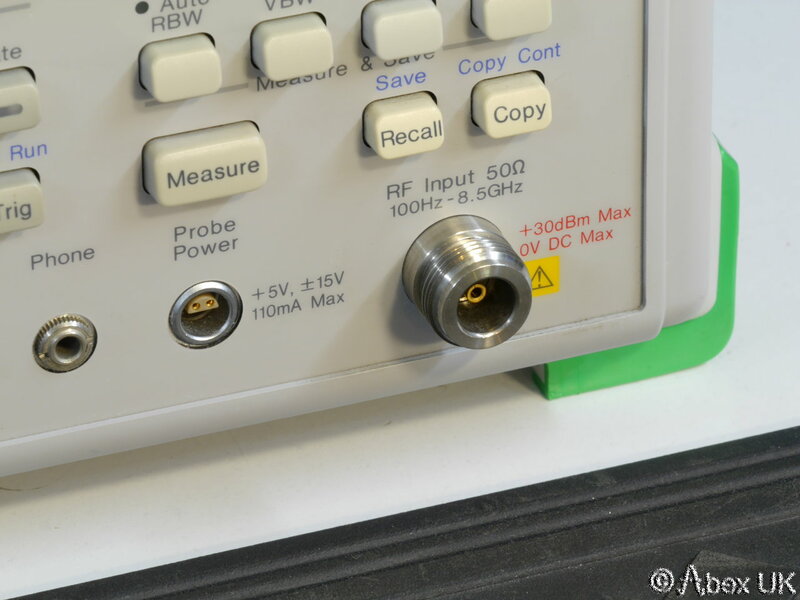 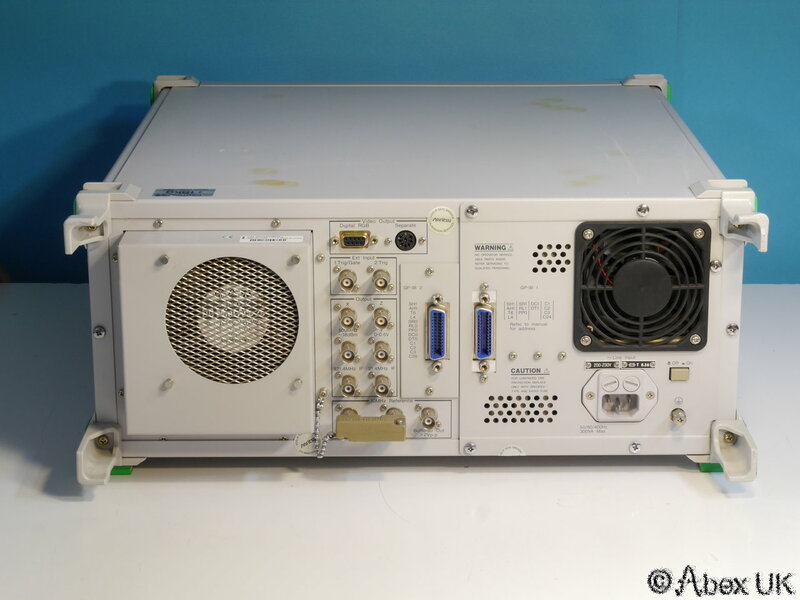 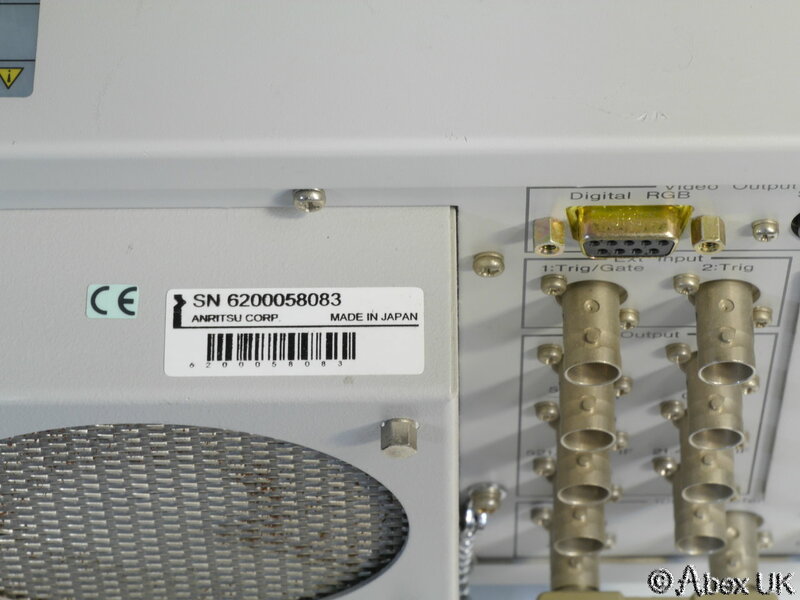 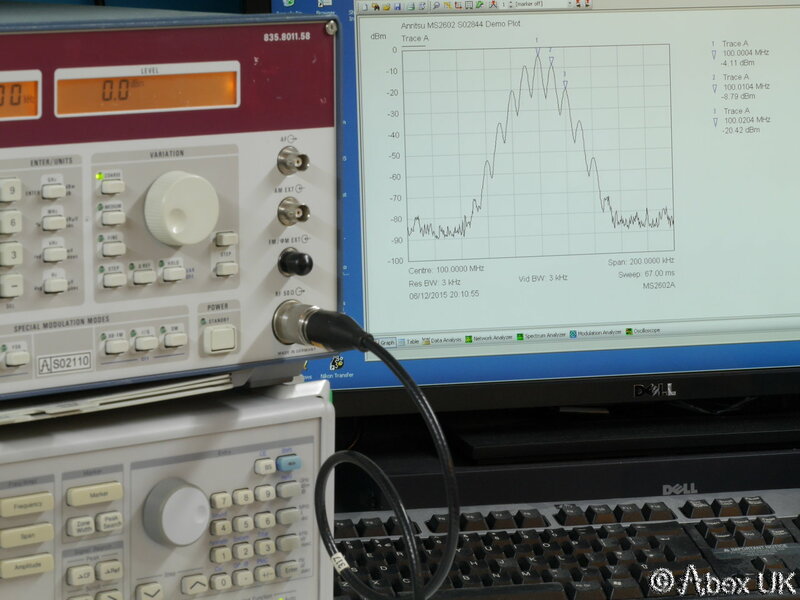 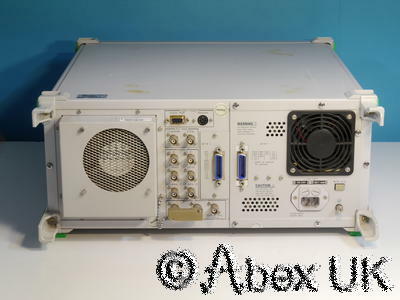 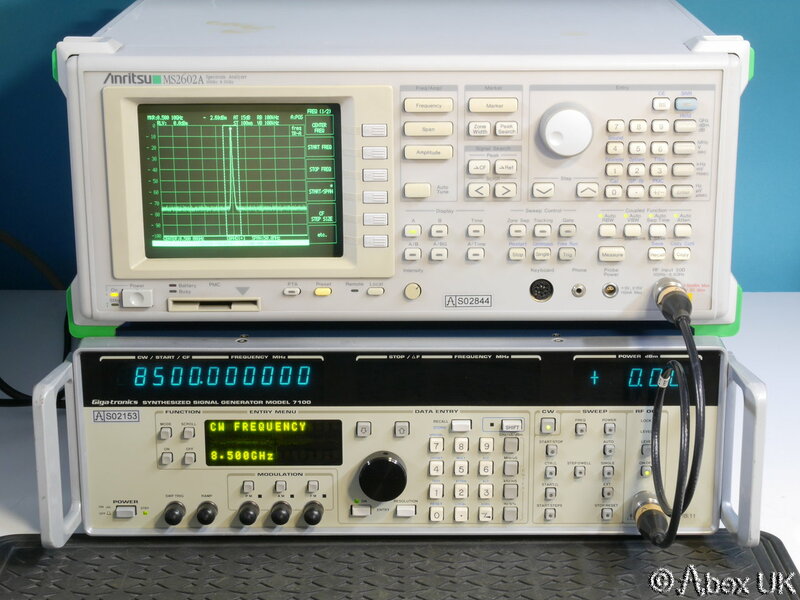 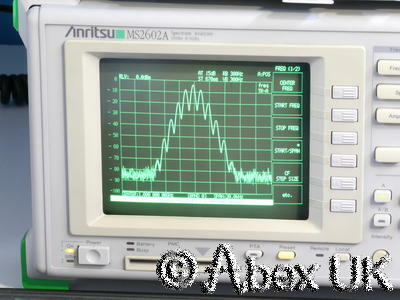 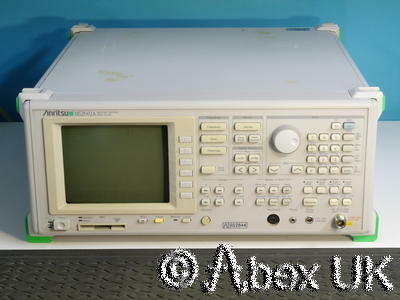 The Anritsu MS2602A is a general purpose 100Hz to 8.5GHz Spectrum Analyser with synthesised tuning, on-screen markers and a GPIB interface. 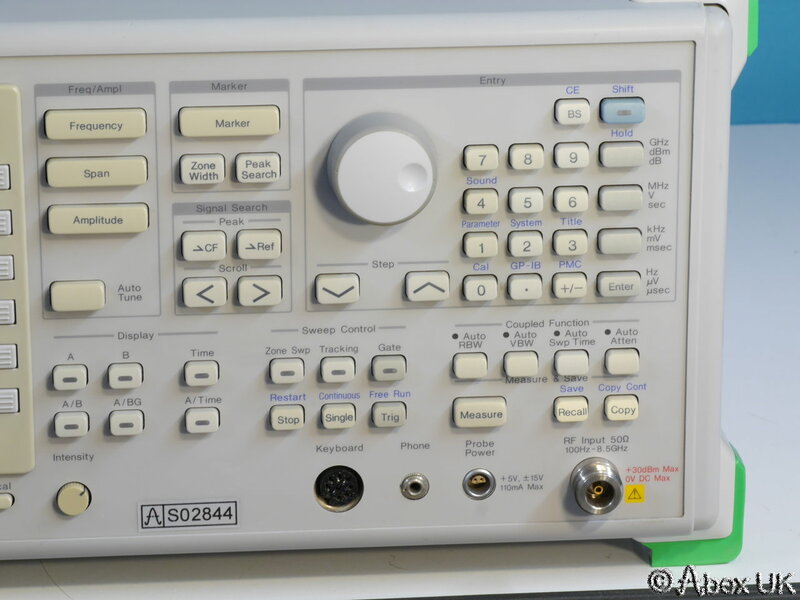 The GPIB may be used for ATE remote control and for data extraction, it is compatible with industry standard Softplot presentation software as shown below. 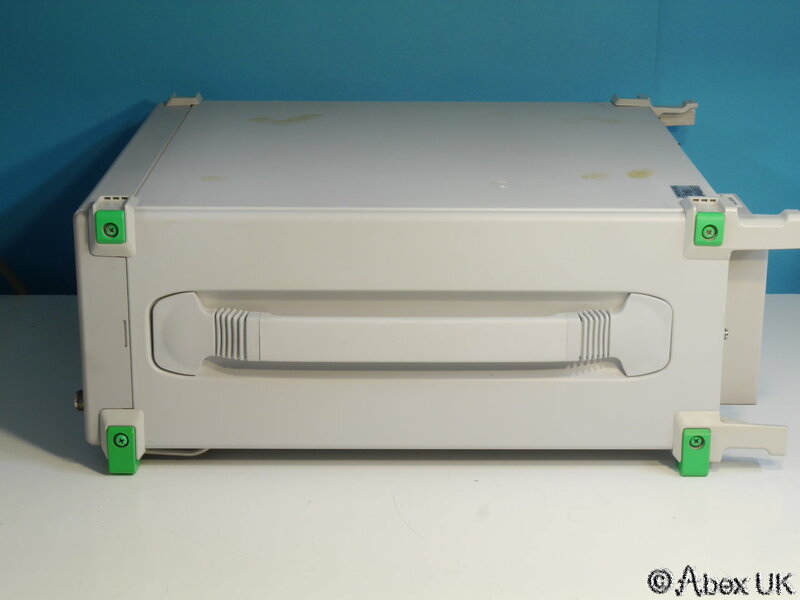 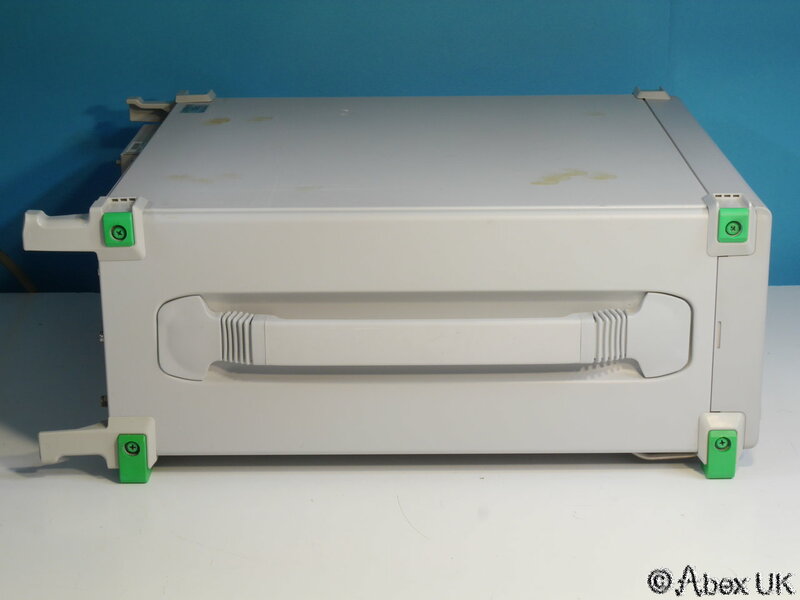 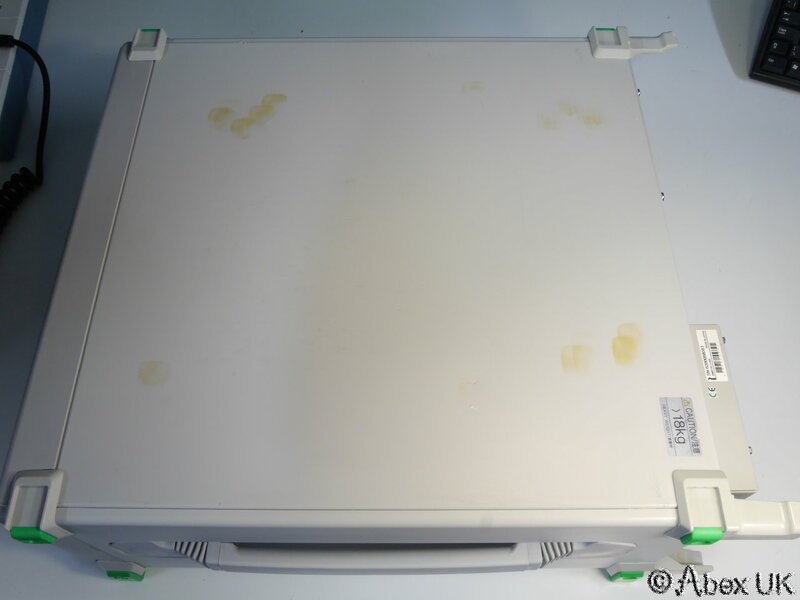 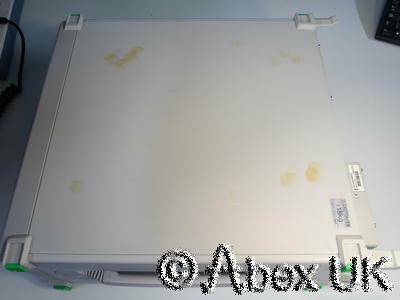 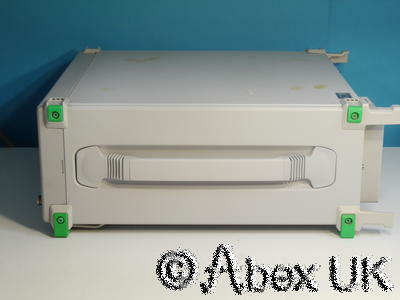 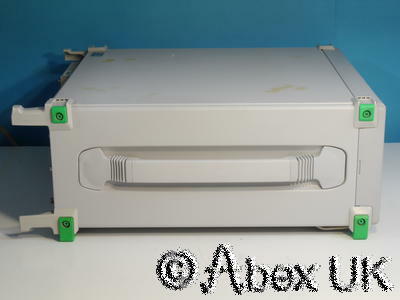 This unit is in excellent clean cosmetic condition, except for some brown stains on the lid which appear to be from the rubber feet of something which was once placed on the top. 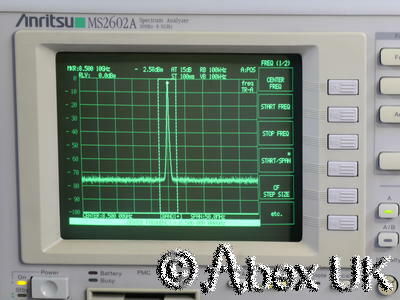 In good full working order as shown. Please note, items used for demonstration (e.g. 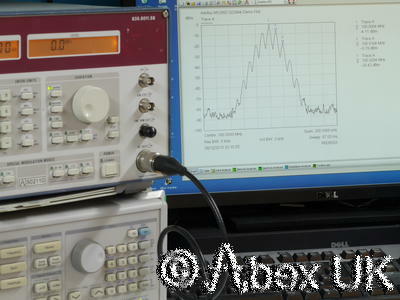 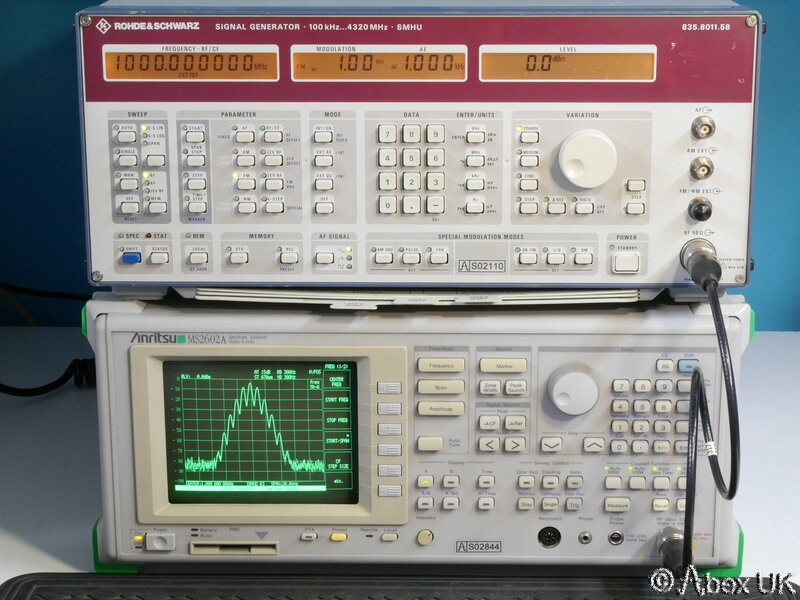 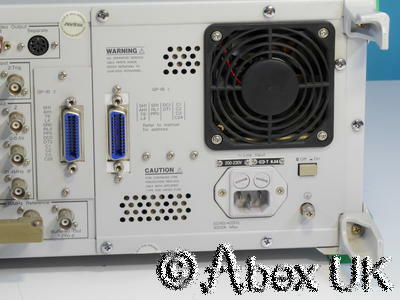 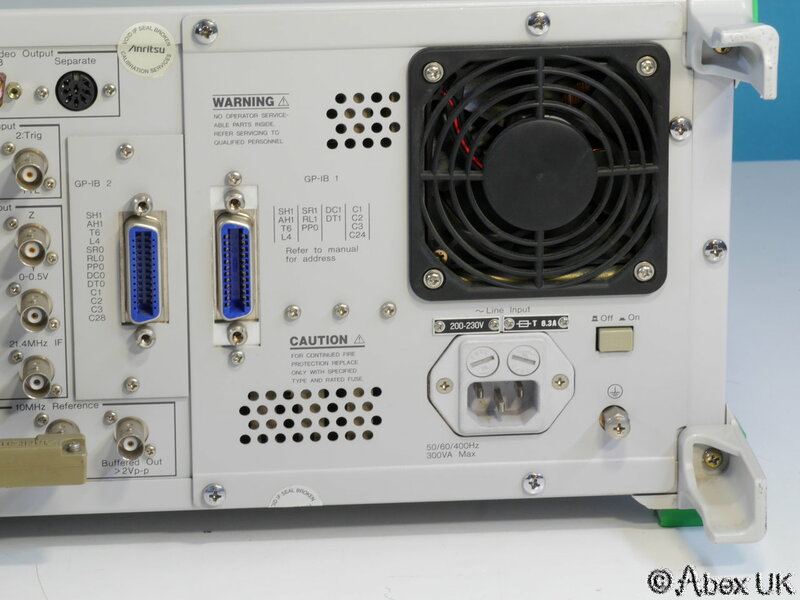 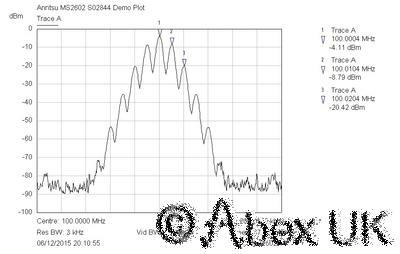 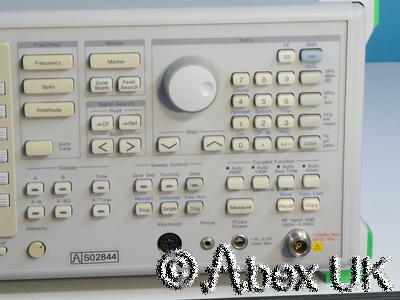 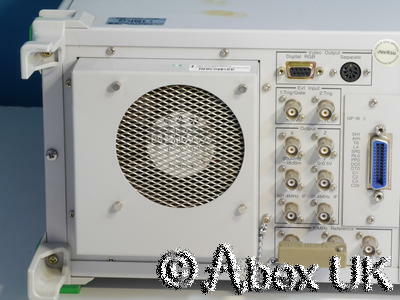 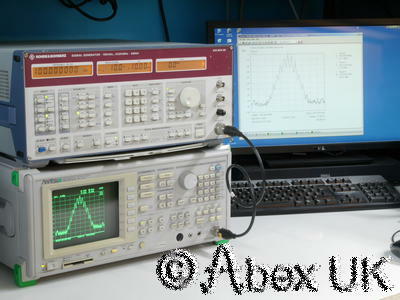 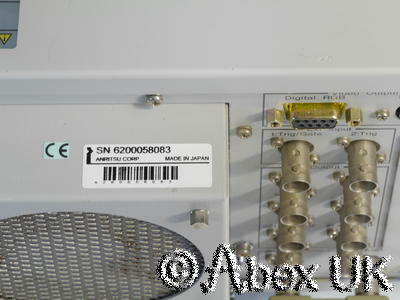 Signal generators, PC, Softplot, cables, adaptors etc) are NOT included but may be available separately. Please see our other items.